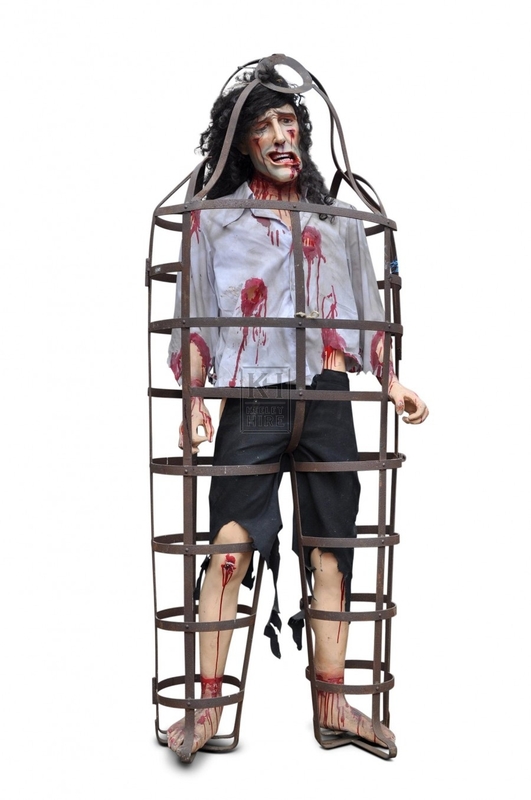 Description Freestanding prisoner figure in cage. 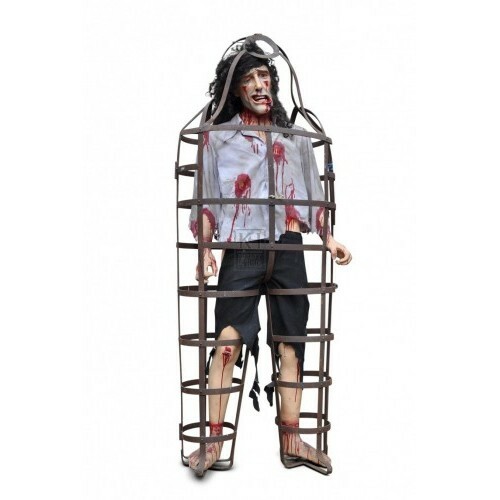 This prop is now available with up-lighting as a bolt-on which really helps highlight the prop and give it an even greater "fear-factor"! Available with either LED Colour up-lighting, U.V or both as in the third picture.